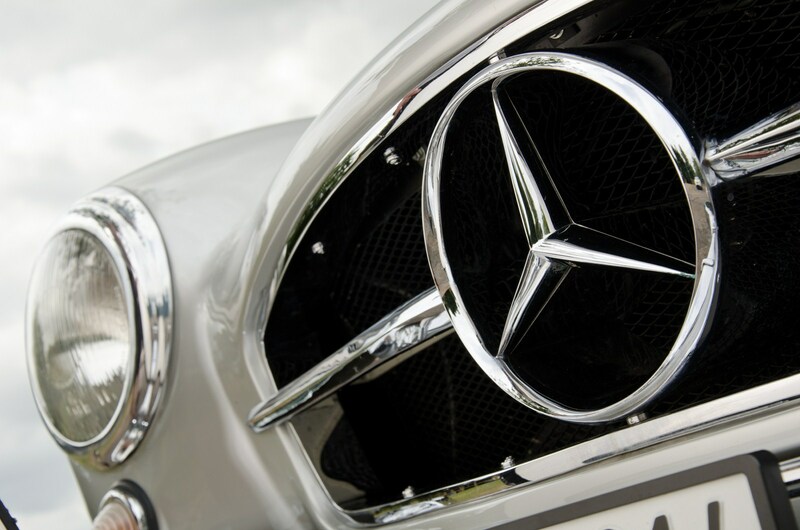 Το ποσό που θα πιάσει στη δημοπρασία δεν το ανακοίνωσε ο οίκος, αλλά στις αρχές του έτους, μια παρόμοια 300 SL πουλήθηκε έναντι 4.2 εκατ. 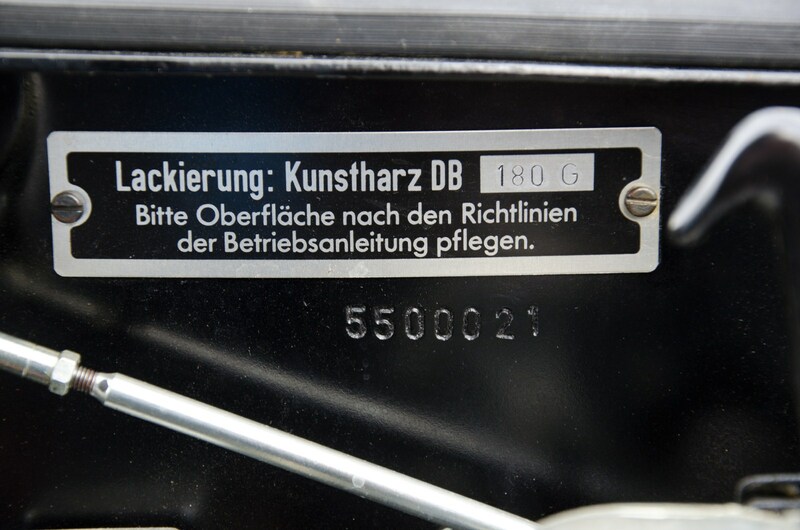 δολάρια και μαζί με τους τόκους της δημοπρασίας έφτασε τα 4.62 εκατ. 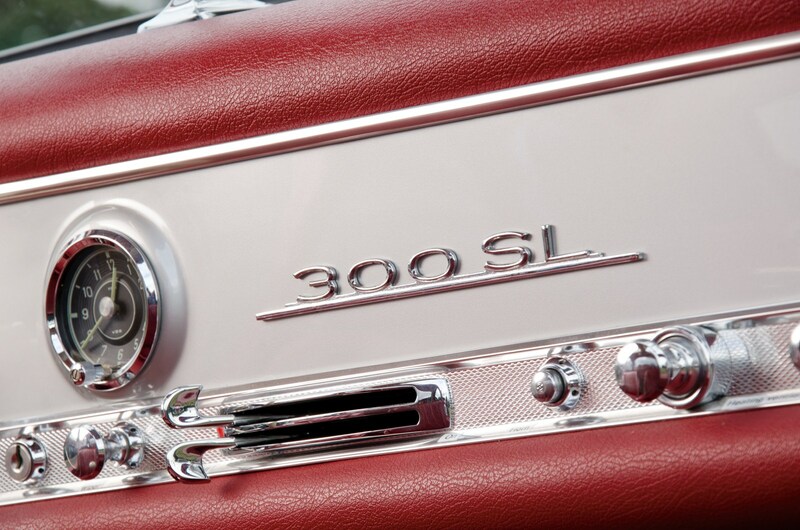 δολάρια, κάνοντας την, την ακριβότερη 300 SL που πουλήθηκε ποτέ. 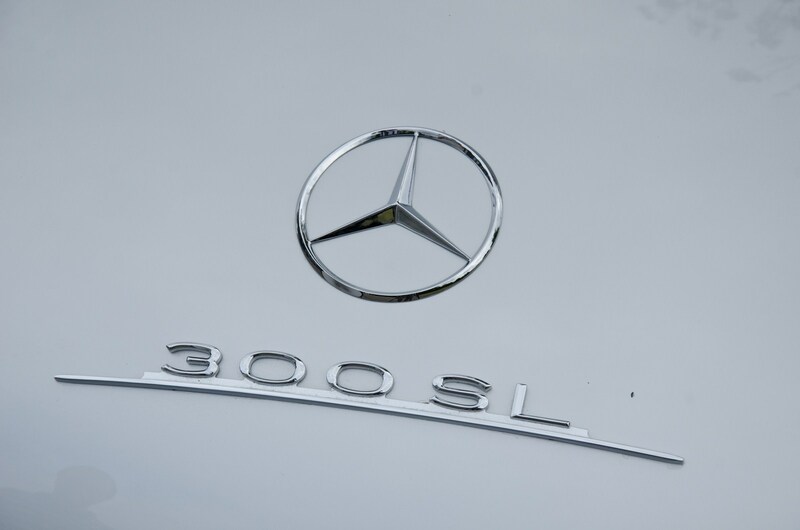 Estimate: Available Upon Request 215 hp, 2,996 cc single overhead cam inline six-cylinder engine, Bosch mechanical fuel injection, four-speed manual gearbox, coil spring independent front suspension, coil spring swing-axle rear suspension, and four-wheel drum brakes. 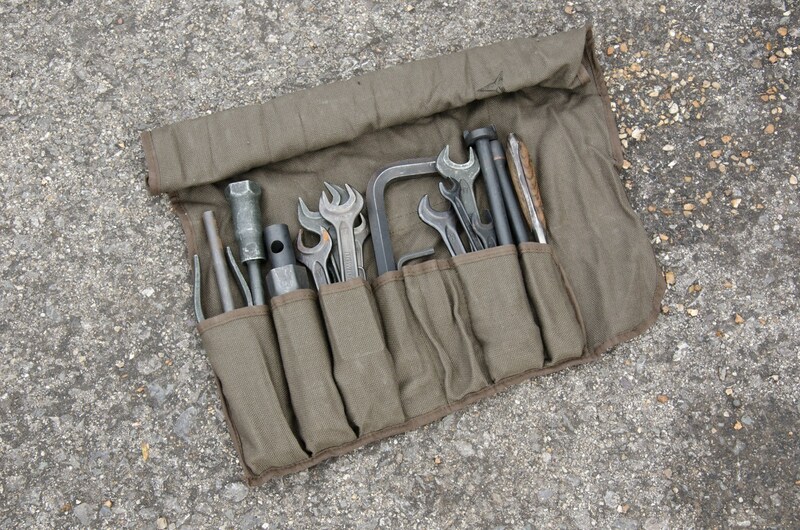 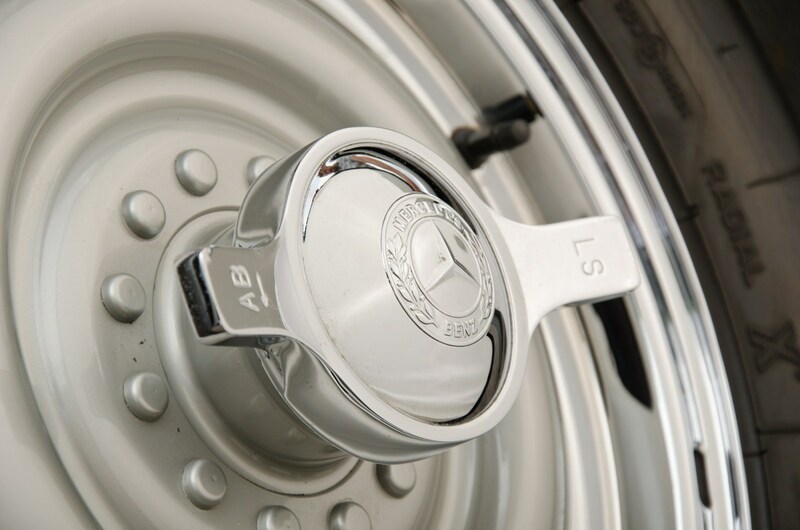 Wheelbase: 94.5 in. 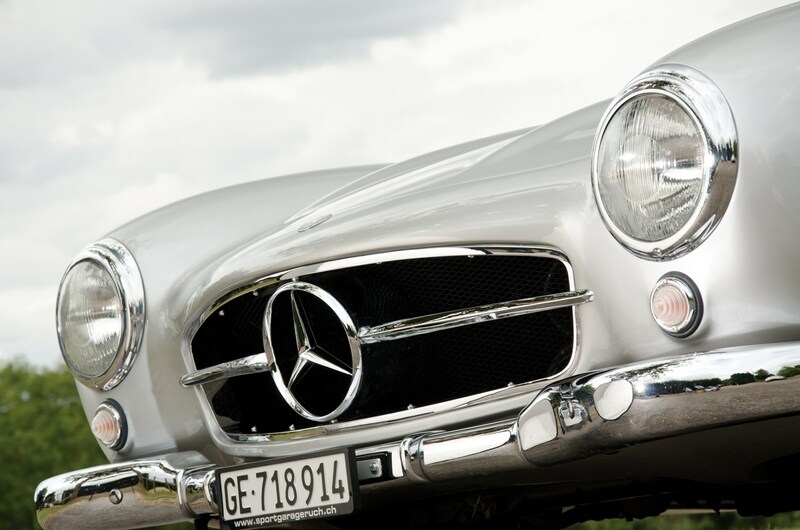 The competition exploits of Mercedes-Benz’s 1952 300SL race car and its successor, the 1954 300SLR, are the grist of motorsports legend. 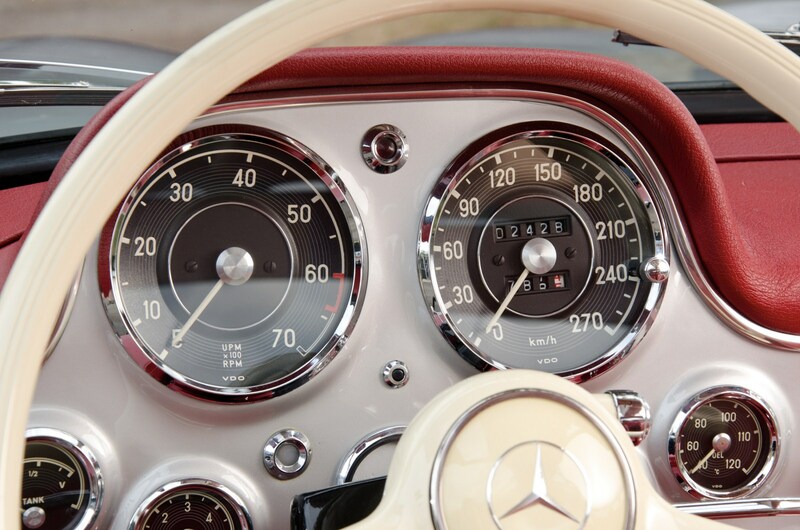 The W194 300SL’s dizzying litany of wins during the 1952 campaign, including the 24 Hours of Le Mans, the 24 Hours of Nurburgring, and the Carrera Panamericana, not only cemented Mercedes’ return to the forefront of racing, but also inspired the line of beautiful W198 Gullwing road cars that began production two years later. 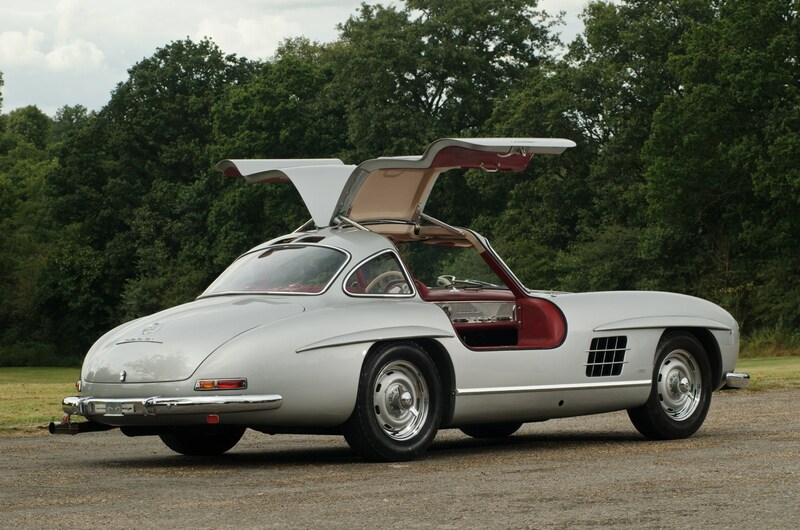 One can only speculate just how many wins the W196 300SLR might have earned had Mercedes not cancelled the program following the disastrous 1955 Le Mans, at which 80 spectators were killed from an accident involving the W196, which was essentially an F1 race car wrapped in a sports car body. 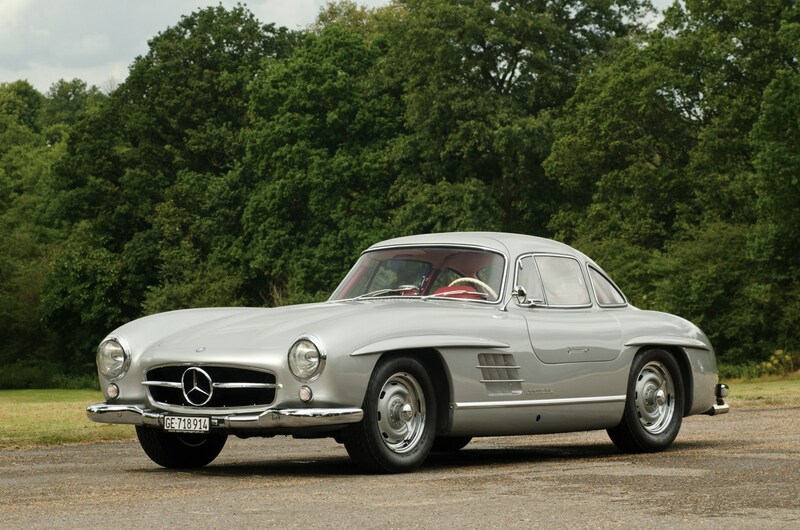 Despite the fact that the W194 and W196 race cars shared the 300SL nomenclature with the W198 Gullwing road car that followed, they were in fact three very different cars, as the chassis designations suggest. 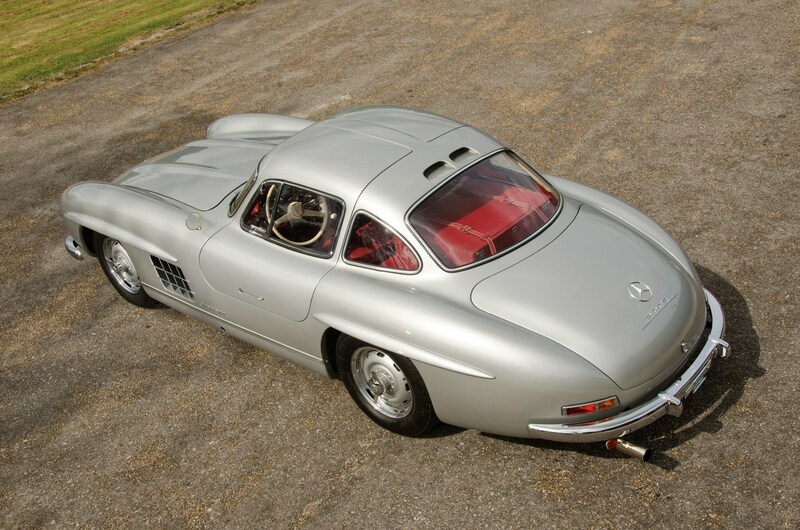 Contrary to common assumption, the true racing version of the celebrated Gullwing road car that now looms so large was not the W194 or W196 that preceded it, but rather a lightweight alloy-bodied version of the W198 that was made available by the factory upon special order soon after Gullwing production commenced. 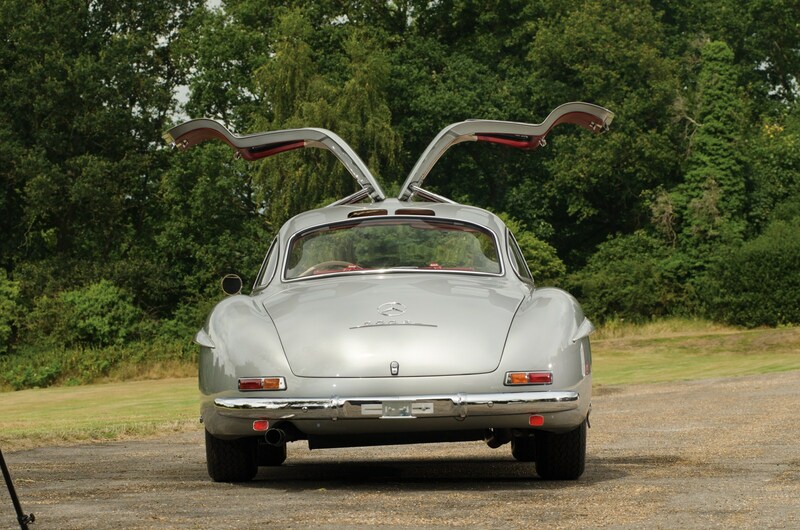 Somewhat ironically, after the cancellation of the 300SLR program in late-1955, the Alloy Gullwings became the sole remaining competition variant of the 300SL, providing a modest handful of lucky owners the proud face of a celebrated racing icon. 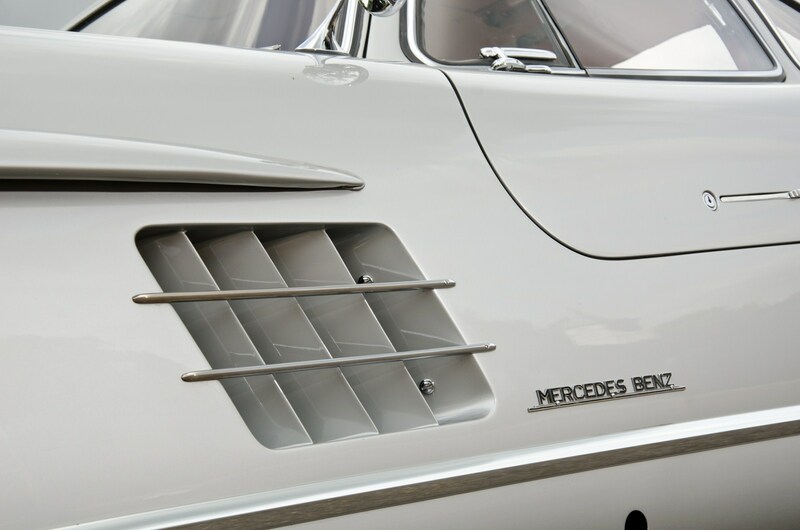 Much debate has surrounded the merit of various claims regarding technical aspects of the increasingly prized Alloy Gullwings. 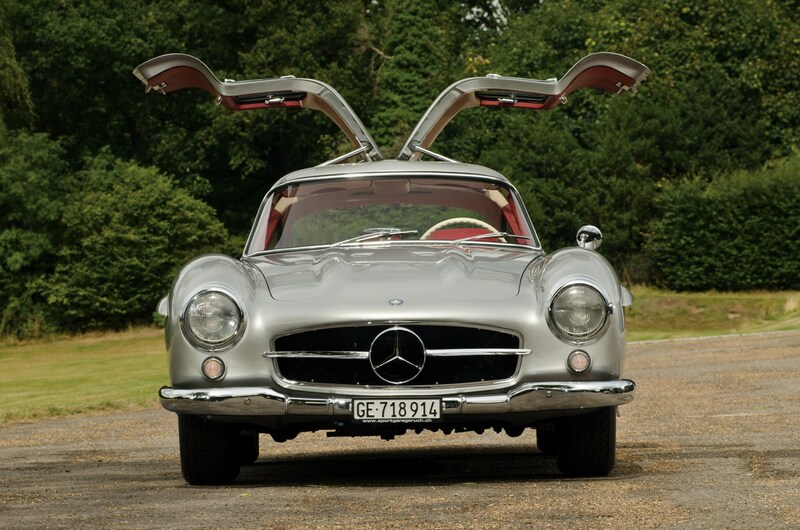 According to Michael Bock, Director of Mercedes-Benz Classic, the alloy version of the Gullwing became an available option on 22nd February 1955, obviously developed by the factory to offer privateer racing customers a strong alternative to Italian or British three-litre sports-racing cars. 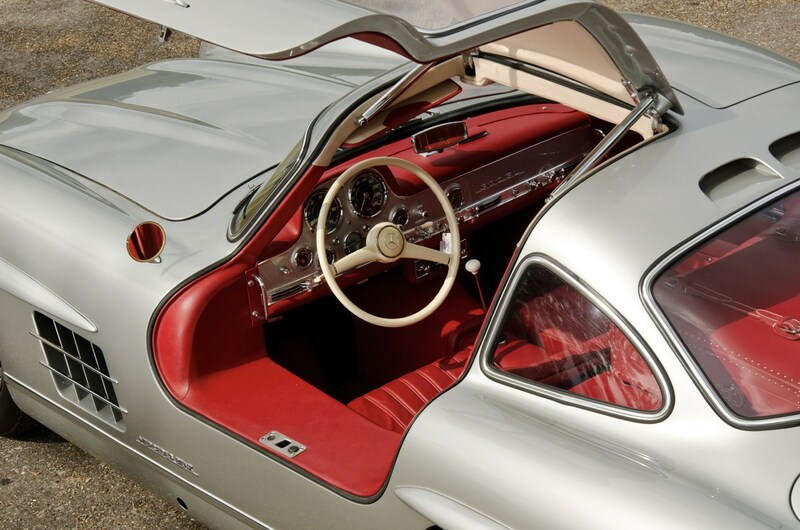 An initial prototype was built using alloy materials for the body, motor, and wheels, while all glass was replaced with Plexi. 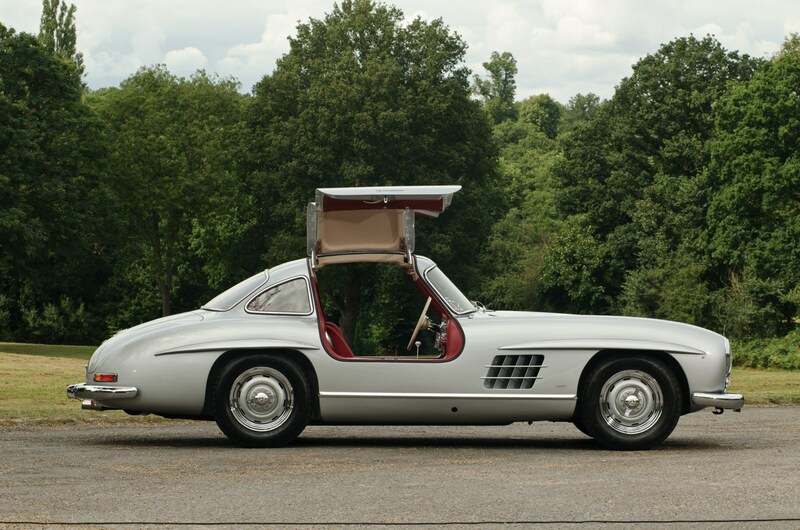 In total, these modifications shaved 286 pounds from the stock Gullwing’s weight, but in the end, only the alloy body itself received production approval. 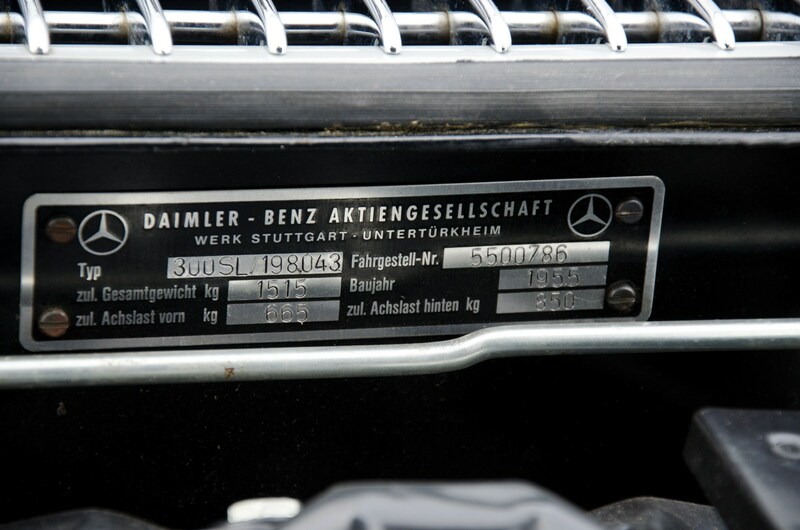 While some enthusiasts have contended that special engines were fitted to the Alloy Gullwings, Daimler-Benz maintains that a special equipment engine, known as the Sonderteile, was available for both steel-bodied and alloy-bodied Gullwings. 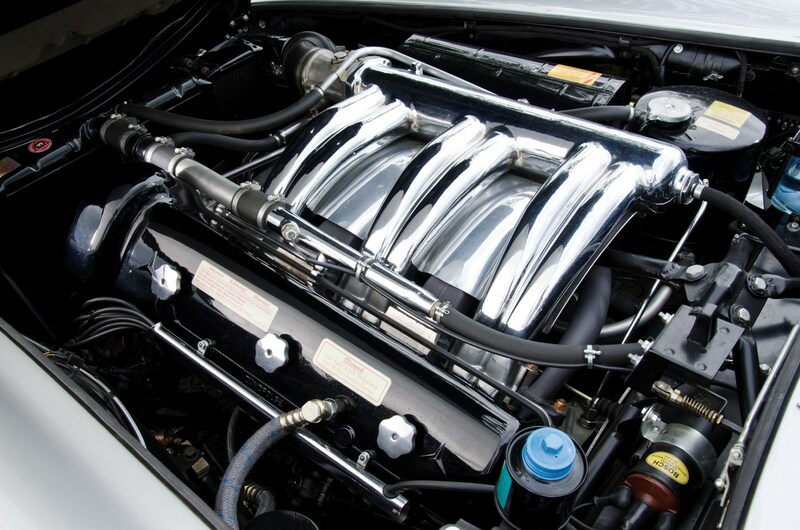 This engine’s principal improvement over the stock unit was the integration of a competition camshaft eventually used in the 300SL Roadster, which increased power output by 15 horsepower. 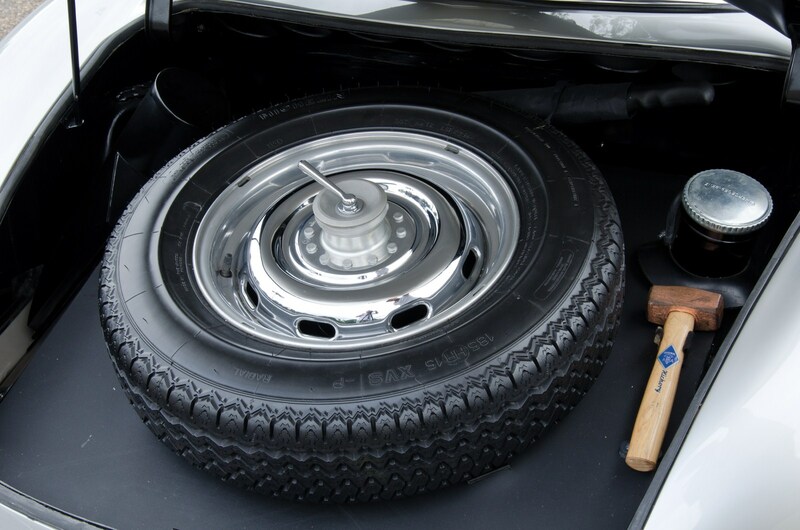 More specific to the Alloy Gullwings were competition-oriented upgrades to the suspension, which included the installation of special springs and dampers, as well as the addition of Rudge knock-off wheels. 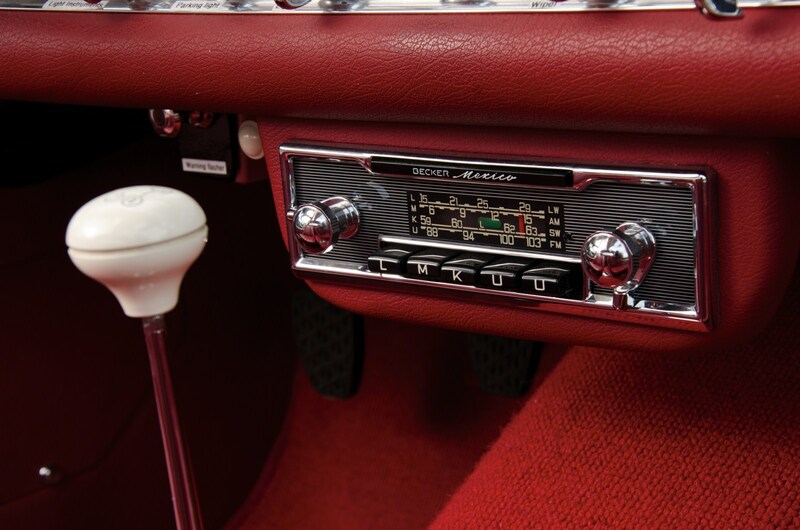 At a 5,000 DM premium, the cost of these upgrades was not insignificant, resulting in a price tag too exorbitant for most potential buyers. 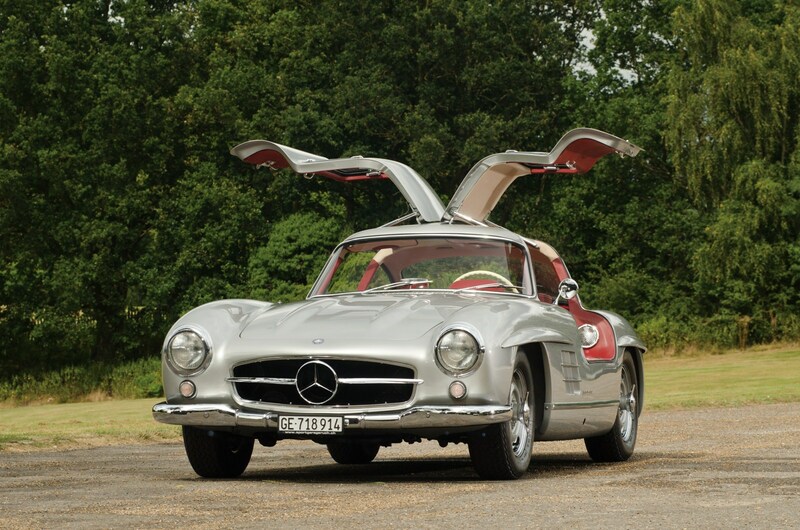 As a result, only 29 examples of the über-rare Alloy Gullwing were manufactured, and they are only now beginning to realize the appreciation and esteem that their rarity and unique racing pedigree has long deserved. 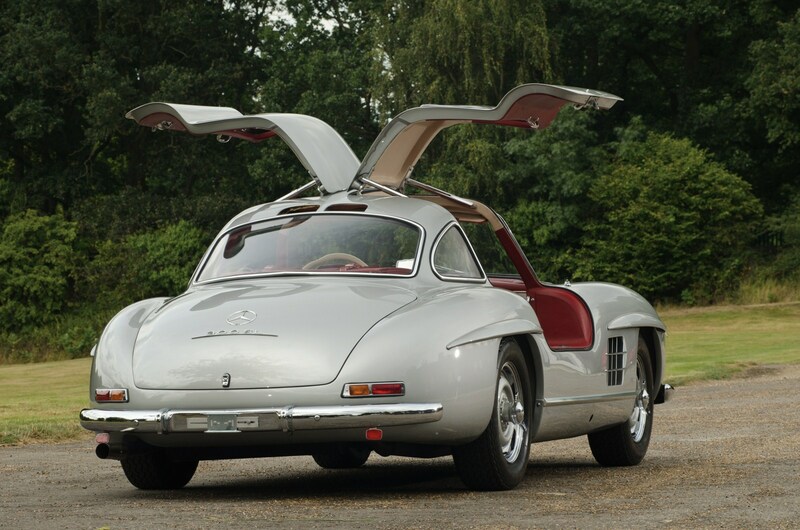 This sensational Alloy Gullwing is the 21st of 29 built and was ordered new by Rene Wassermann, an industrialist and enthusiast residing in Basel, Switzerland. 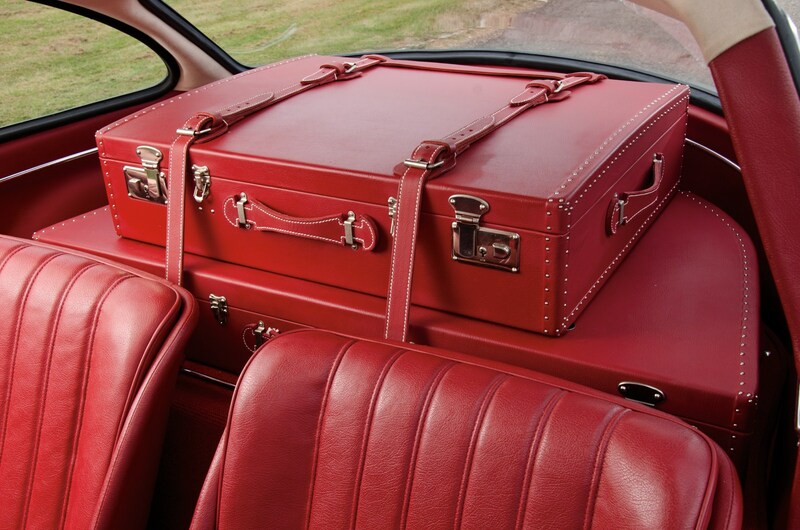 According to a factory build sheet, Mr Wassermann specified options, including special high-gloss white paint, a red leather interior, sealed-beam headlamps, instruments in English, Rudge knock-off wheels, the Sonderteile engine, a sport suspension, and the two-piece matching luggage set. 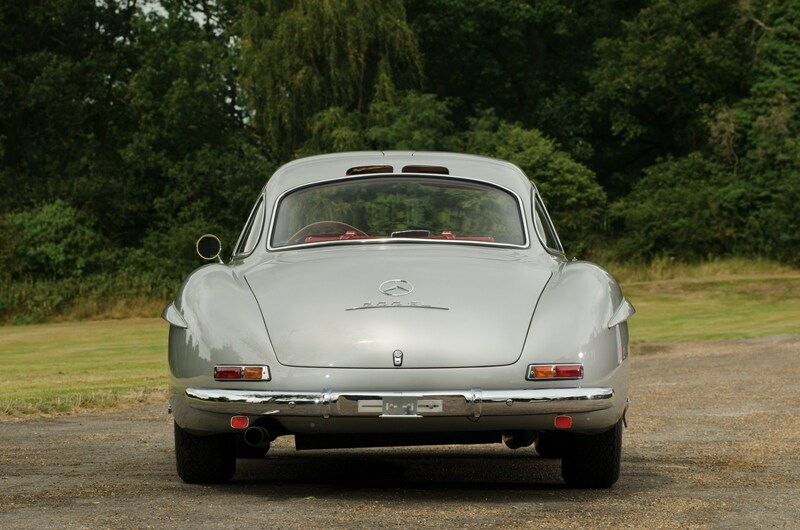 After completing assembly on 5th October 1955, 500786 was picked up on 29th November of the same year by Mr Wasserman himself, who promptly drove the car home. 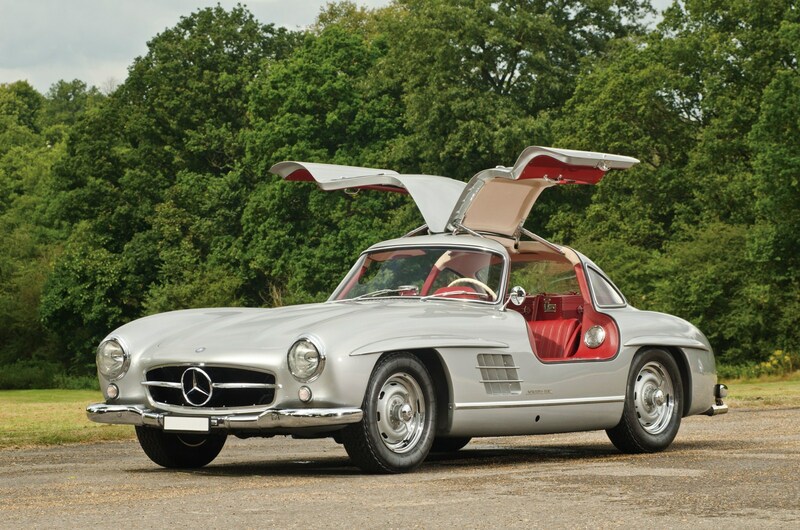 By the early-1960s, 500786 had relocated to the United States and, according to the Gullwing Register, soon surfaced in the possession of John K. Scattergood III, a principle at Blenheim Motors, a dealer in Upper Darby, Pennsylvania. 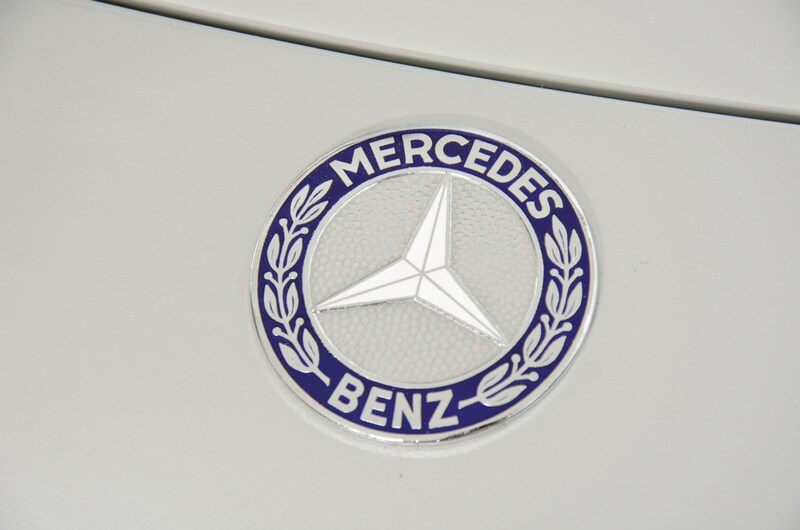 In 1970, the car passed to T. Newell Wood, a Pennsylvania state senator who was also noted for his motoring accomplishments. 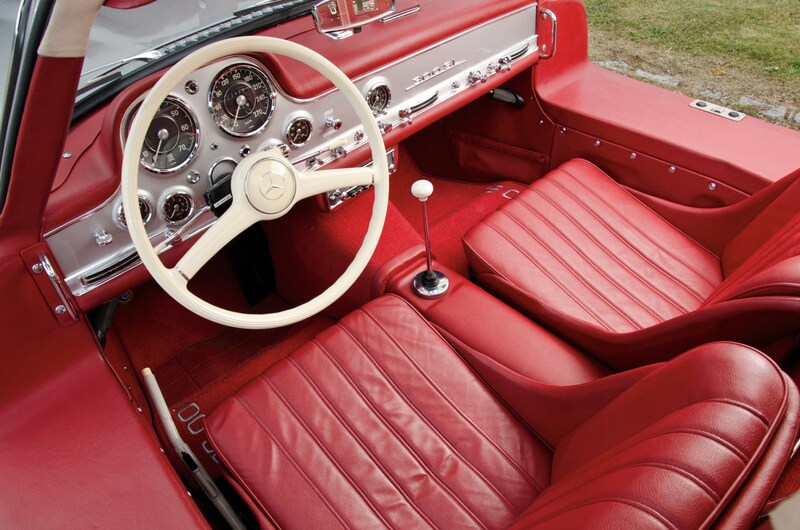 A lifelong racing enthusiast who served as president of the Hill Climb Association, Senator Wood founded the Brynfan Tyddyn Road Races, which were held in Pennsylvania between 1952 and 1956, one of which even featured Carroll Shelby as a driver. 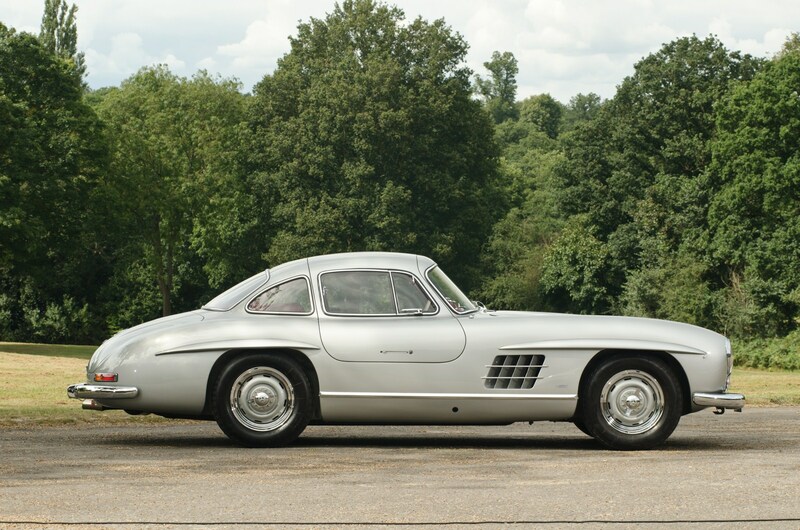 This accomplishment earned Senator Wood a free lifetime membership in the SCCA, and it is fair to assume that this Alloy Gullwing was an appropriate embodiment of his taste for the best in sports-racing cars. 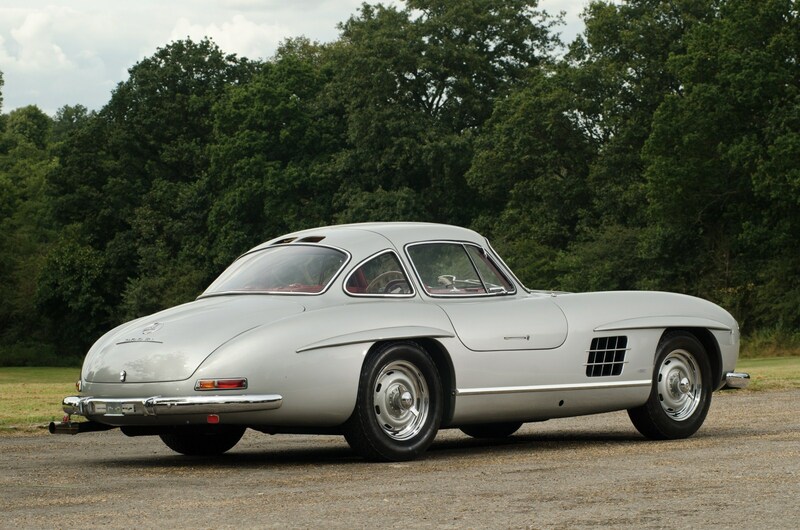 Chassis 500786 passed in 1972 to Bill Kontes, and then two years later, it was sold to Joe Marchetti. 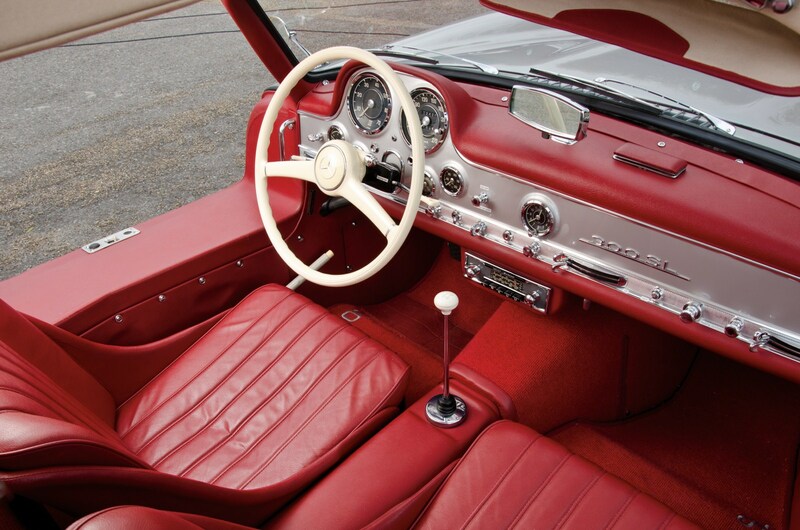 In 1983, the car was acquired by Leslie Barth, who entrusted service and general care to Paul Russell, the highly esteemed restoration specialist whose work has received numerous accolades over the years at the world’s premiere concours d’elegance. 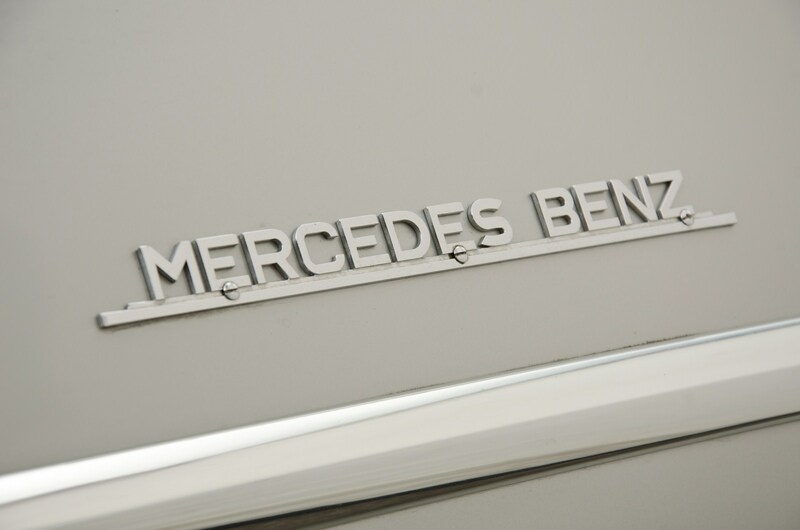 Case in point, Mr Russell was recently noted for his restoration of the 2012 Pebble Beach-winning 1928 Mercedes-Benz 680S Torpedo. 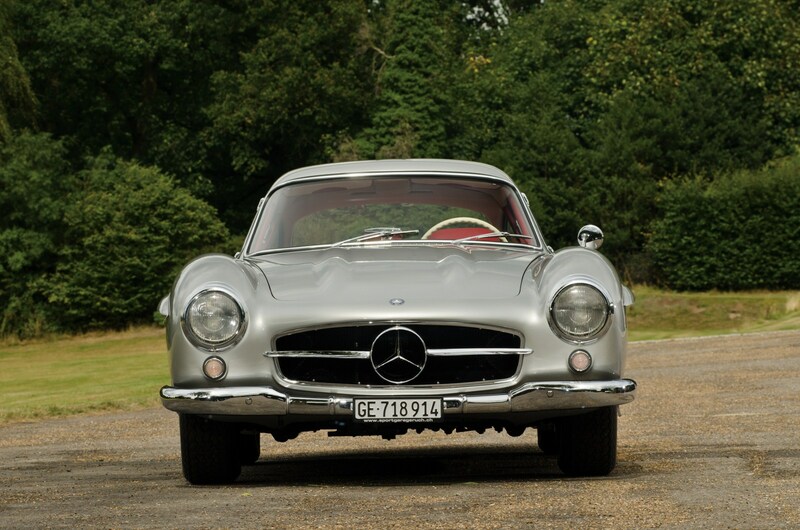 With many Gullwing restorations to his credit, Mr Russell claims almost peerless expertise with the 300SL, and 500786 could have barely enjoyed better care and maintenance during this ownership period. 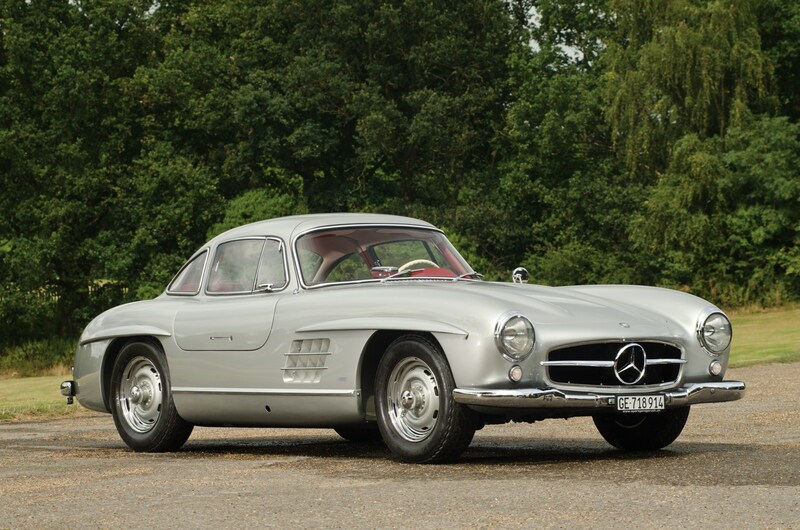 In 1989, noted Swedish collector Hans Thulin purchased this car and retained possession for two years, before consigning it in 1991 to Kienle Automobiltechnik in Stuttgart, one of the world’s most respected authorities in 300SL care and restorations. 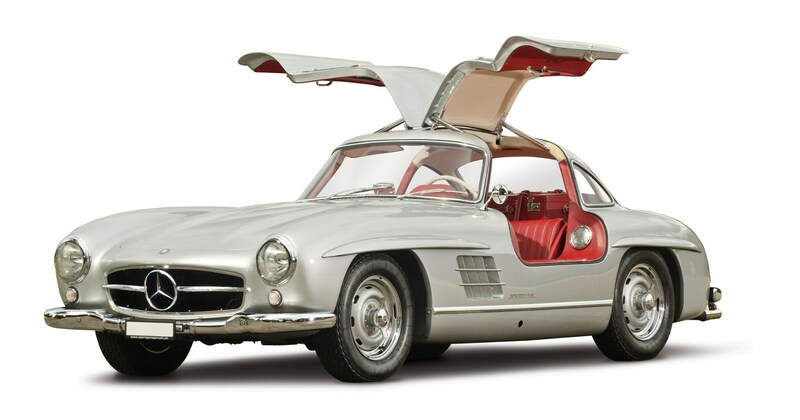 A German enthusiast soon acquired the Alloy Gullwing, but they quickly retained Kienle to perform a nut-and-bolt restoration that freshened all mechanical and cosmetic components, including a resplendent repaint in silver. 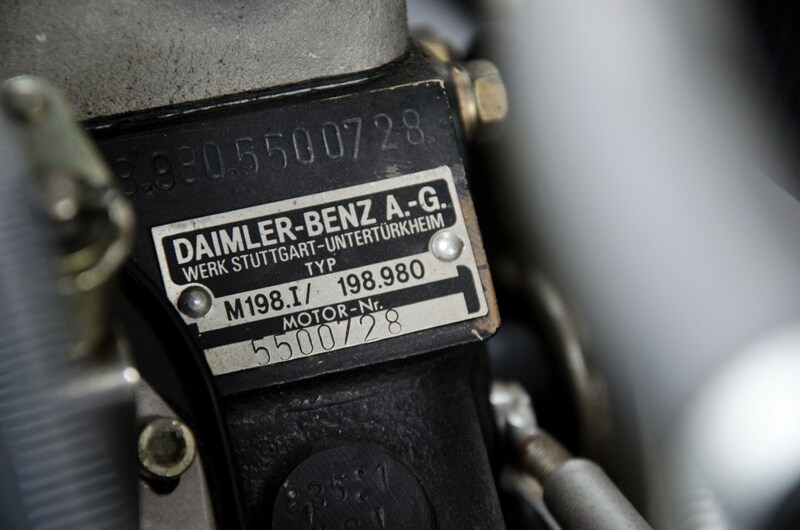 Since this 100-point restoration, only approximately 2,000 kilometres have accrued on the odometer, suggesting that this race-bred performer remains mechanically fresh for future ownership. 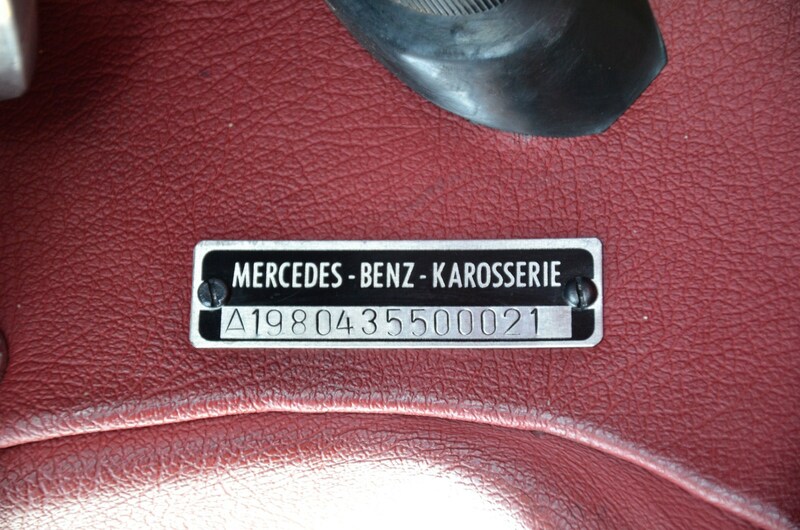 In 2002, 500786 was inspected by Mercedes-Benz Classic and determined to still retain all of its original mechanical components, making this car a genuine matching-numbers example. 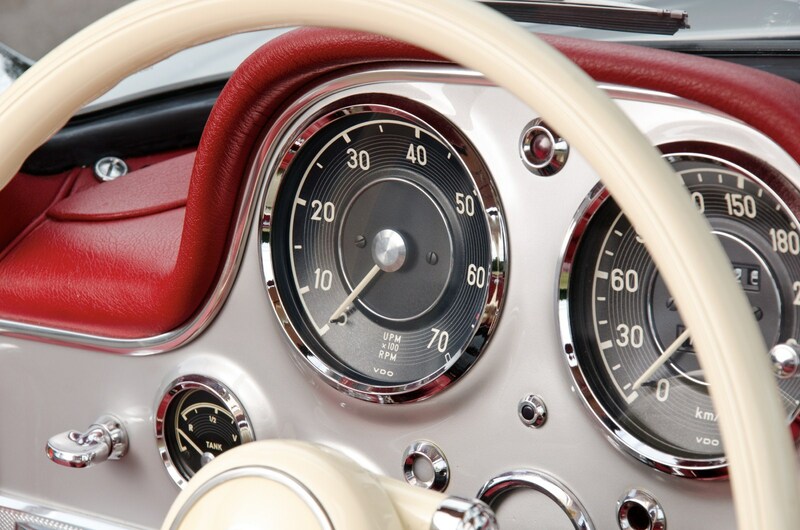 It is believed that the car remains just as mechanically authentic today, as no major mechanical replacements have occurred in the interim. 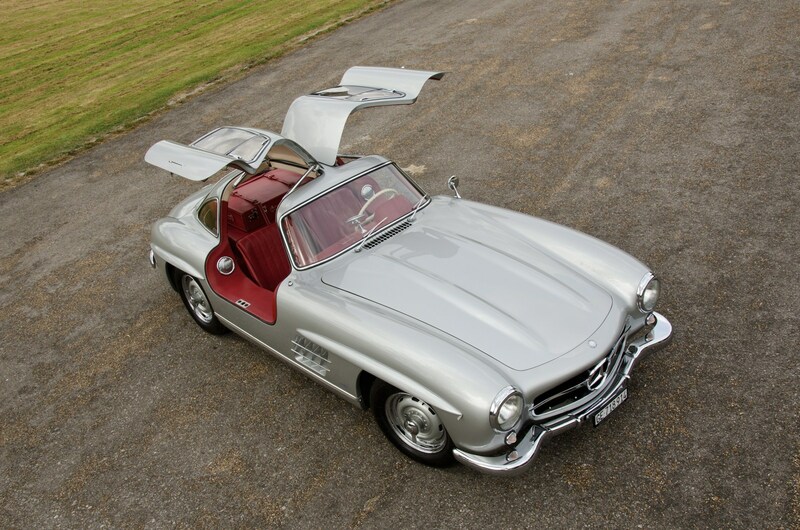 Purchased in 2006 by its current owner, a collector based in Switzerland, 500786 is a glowing example of the rarest and sportiest of Mercedes’ vaunted 300SL road cars. 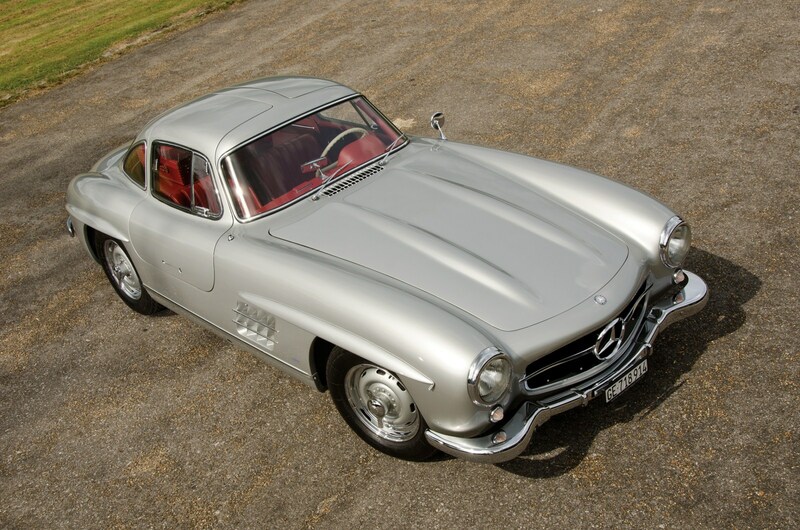 With a pedigree of development that links it to the legendary W194 and W196 race cars, this handsomely appointed alloy-bodied 300SL constitutes the zenith of Gullwing production, and it has been restored to perfection. 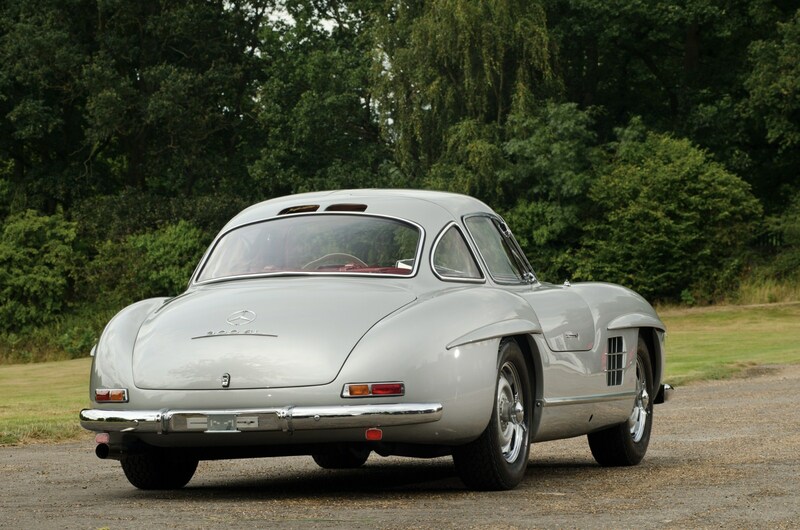 It is a pristine example of one of Stuttgart’s greatest sports-racing cars. 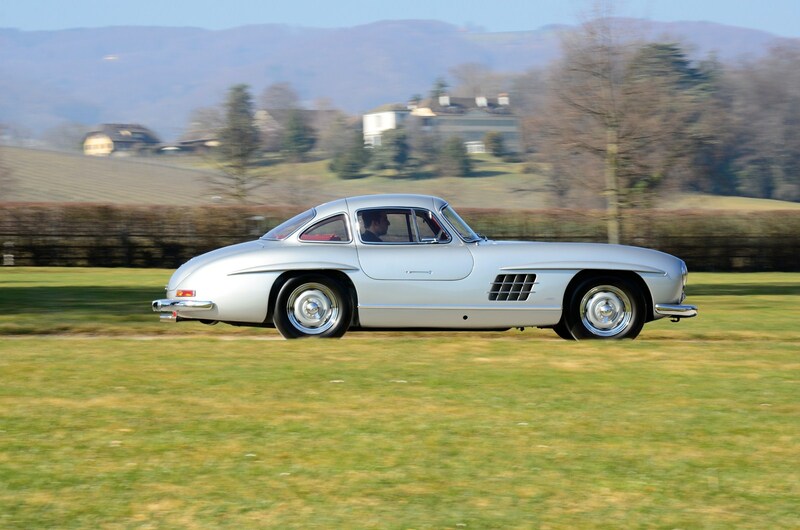 It will surely draw crowds at concours and marque club events, and it would capably crown the finest collections of Mercedes-Benz or post-war sports cars.